Our service department is growing stronger and stronger everyday. Quality and care is a very large concern here at JG. Please read our adjoining services.....and know that we could not list every one here.......this is just an intro. If there is something to fix on a vehicle.....WE DO IT......and we do it well. If there are any questions at all we welcome your contact. JG Autowerks has an extensive line of factory automotive diagnostic software. Some vehicles more specific than others require these tools to diagnose and repair vehicles electrical engine and body control systems. Flash programming and version coding of specific components when replaced is needed for proper operation and in many cases to use the vehicle at all. Here at JG Autowerks not only can we diagnose your vehicle’s control systems with flash update software we can repair some vehicles complaints with a simple program download. Anti-theft and security systems play a big role in today’s vehicles. 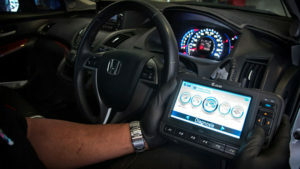 On car key programming available as well as vehicle specific software programming for replacement of electronic parts. JG Autowerks prides itself on the ability to stay current with most vehicle manufacturer specific software to not only use but understand these complex automotive systems. The Best Tires In Rochester N.Y.
JG Autowerks offers a wide variety of tire and wheel application services. From complete replacement whether a performance or everyday driver tire applications are accomplished by using the best possible tire combination for your vehicle and driving needs. Tire brand, style of tread and correct application is crucial for proper wear, noise control “as we all had a lumpy tire noise” and performance. Although some vehicles are not very specific we will recommend what we feel works best for your vehicle and driving needs. Tire tread depth is not only looked at when determining tire replacement although often viewed this way. Tire compounds as tread wears often become harder i.e. which gives them more life per mile but may not respond as well in slippery and/or a panic turn stop condition. 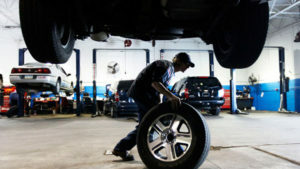 Let us review your tire needs and don’t hesitate to ask your service advisor for a recommendation. JG Autowerks also can rebalance your vehicle’s wheels with conventional hub mounting as well as with a more accurate pin plate mounting for some applications. At JG Autowerks we also have the products and lubrications for proper tire sealing on aluminum and/or steel wheels to prevent air loss. As well as repair any damaged tires due to debris i.e. nails with our vulcanizing tire plugs and/or plug patching from inside from greater reliability on larger holes. JG Autowerks offers a complete brake service from conventional pads and rotor replacement to hydraulic leaks such as lines as we custom make hydraulic brake lines for every application needing replacement for rotting or leakage. The automotive braking system can be complex as well. If your vehicle has ABS or traction control we can diagnose and repair these systems as well with one of our factory scan tools. As most replacement parts on the ABS system require flash program or version coding of the components. Also with our factory scan equipment and our expertise in electrical and wiring we can pinpoint most intermittent brake malfunctions causing poor brake pedal feel and/or warning light illumination. Within the braking system there is always a maintenance need also from properly lubed pad mounting and caliper slider pivots can prolong the life of your brake job. Most maintenance intervals may specific and do require a fluid flush to keep your brake system hydraulics properly working and contaminate free. The brake system also uses a mechanical and sometimes electronic parking brake system which in our environment can become corroded, rusted and inoperable. Complete cable replacement and sometimes just a repair add safety to your vehicle’s braking system as well as keeps it in NYS Inspection ready. Exotic Vehicles is one of our great strong points at JG. We pride ourselves in all of the various luxury vehicle repairs we do....we have done many over the years. We have clearly become expert at classic luxury vehicle repair and diagnosis. We truly love exotic cars....ASK US ABOUT THIS ANYTIME. JG Autowerks offers extensive diagnostics regarding your starting and charging system. Whether replacement starter is needed or we can recondition yours JG Autowerks will completely check your starting system whether it be a bad starter or a power failure i.e. ignition switch our trained staff will isolate the root cause of the problem which may be electronic related due to faulty factory and/or after market security systems in which a no crank condition could exist. 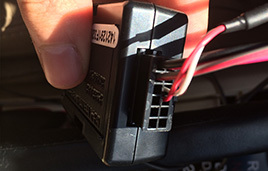 As the automobile becomes more sophisticated charging system failures may appear to be alternators but in fact can be faulty power train control modules and/or wiring. Have JG Autowerks completely analyze your charging system to properly isolate and diagnose the problem. A dead battery may also be caused from a parastatic draw in which current continues to flow to a device and not always visible i.e. interior lights on JG Autowerks will properly isolate the system and diagnose it properly. If you need battery replacement we offer a complete line of professional series batteries in which most applications are in stock and ready to install or sell for customer install. JG Autowerks also offers state of the art battery charging equipment for late model vehicles with AGM and gel style batteries for proper charging rates and testing. Ask your service advisor to explain in which this style battery looks like a conventional. Small print and vehicle application guides is how it is differentiated. JG Autowerks offers a wide variety of maintenance work ranging from oil changes to timing belts and tune-ups. Every vehicle has its own specific maintenance schedule, ask your service advisor what maintenance is due on your vehicle or coming due at mileage and time intervals. Although the days of repairing a poor run condition due to warn maintenance tune-up parts i.e. plugs and filters this may not always be the case. If your vehicle requires such replacements we will advise the best possible solution for your maintenance needs depending on mileage and age of vehicle. Most vehicles have cabin air filters to clean the air and filter debris which replacement can keep your HVAC system flowing properly and corrosive and contaminant free. Not all fuel systems have serviceable fuel filters. JG Autowerks also offers a professional fuel system flush and injector cleaning per vehicle application and can correct most run conditions and increase fuel mileage with this service. Maintenance work may also include belt replacement from conventional drive belts to engine timing belt replacement. Although most timing belt replacements are conventional some vehicle applications need special tooling in which JG Autowerks has for these vehicle specific applications. From European exotic vehicles to the grocery getter. Let JG Autowerks advise you on your next timing belt replacement to keep your engine running smoothly into the future. JG Autowerks offers a wide variety of oil change intervals and oils. 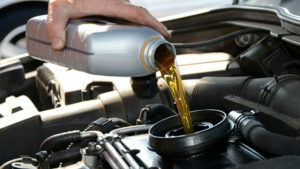 Most vehicles can be specific as JG Autowerks has vehicle specific maintenance fluids in stock. Many European vehicles require specialty hydraulic and transmission lubricants which are on hand for the proper top off or replacement of such fluids. If repair work is needed instead of maintenance and due to financial criteria let us fix your vehicle and advise you what maintenance can be done sooner or later. JG Autowerks also offers induction system cleaning to remove carbon build up in the internal combustion side of the engine’s valve train and cylinder pistons. This chemical process can help your vehicle idle smoother as well as stop engine noise due to carbon build up. JG Autowerks offers a variety of exhaust system services from the conventional muffler and tail pipe to the more complex manifold header pipe flex flanged replacement often saving customers money with this repair from costly pipe replacement. Most exhaust systems can be repaired with simple welding and sleeving of rotted flanges within the exhaust system. JG Autowerks also works with rusted and rotted exhaust manifolds and repair of such items with broken bolts and mounting hardware. Our staff can repair any exhaust manifold mounting. JG Autowerks also offers catalytic converter replacement as well as repair to mounting flanges of these catalytic converters in order to save our customers money when complete replacement is not necessary. Although check engine lights on most vehicle’s dashboards will illuminate because of faulty catalytic converters but also due to exhaust leaks in the vehicle’s exhaust system. See our drivability section for details on catalytic converter codes. JG Autowerks can greatly improve an exhaust systems life by replacement and/or repair or exhaust mounting hardware and straps some are custom made and welded in place and some are vehicle specific replacement components. Ask your service advisor to have your exhaust system checked for proper mounting. JG Autowerks offers repair to most power lock and remote lock entry systems from a factory equipped to an after market installed device JG Autowerks can repair any of your door, manual or power lock needs. From frozen cylinders to inoperable handles and/or actuators JG Autowerks goes above and behind to repair such devices if possible due to replacement cost of new and/or replacement components. Here at JG Autowerks we repair most components rather than replace to save the customer money if at all possible. We go the extra mile regarding these needs. JG Autowerks also offers door repair on hinges to keep your door latch working properly and closing smoothly. From latching and unlatching to micro switch repairs on more sophisticated latch and handle units i.e. 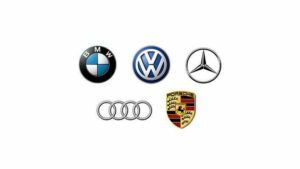 Volkswagen and Mercedes, which saves customer from replacing entire latch at an extensive cost. If repair is possible we will always try. 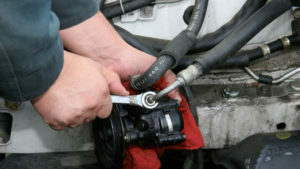 JG Autowerks offers extensive power steering and hydraulic related diagnostics. From external leaks due to rotted, corroded and/or seal failure JG Autowerks has many means to repair your steering and hydraulic systems. Whether hydraulic pump, steering racks and/or line repair or replacement is available JG Autowerks also stocks most original equipment fluids for your vehicle’s hydraulic and steering system. Whether your vehicle has devices which are mainly called speed sensitive steering in which electronics control the pumps pressure and steering rate based on complaint having your vehicle analyzed to properly diagnosing a problem within the steering system. JG Autowerks offers custom line repair and replacement. 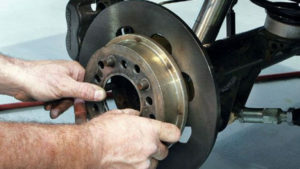 JG Autowerks also offers repairs on any steering control components such as connecting shafts and joints which may become loose, noisy and cause a play in steering wheel and related components. Here at JG Autowerks we also offer steering column and ignition lock repairs such as hard to turn ignition key cylinders and/or binding ignition locks cylinders which causes the ignition key not to turn. Have your vehicle’s ignition lock system repaired before a completely inoperable cylinder requires a lot of costly labor hours to remove if completely defective. The maintenance on your power steering system which may include fluid evacuation and replacement flushing keeps harmful contaminants and lubricity for proper lubrication of your steering components. See your service advisor for proper factory and/or recommended service intervals as well as have your steering components checked for any ripped or torn protection components within your steering system. 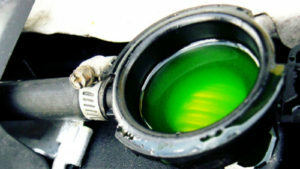 JG Autowerks offers a wide variety of coolant system services. As we stock most original equipment (OE), antifreeze coolant as well as an universal coolant now accepted in most applications. If you wish to have OE coolant specify with your service advisor. Our cooling system services involve maintenance flushes, leaks and/or over heating conditions. No job too big or too small and can meet all of your cooling system needs from radiators and water pumps to all hoses or even the extensive heater core repair which may involve complete dash removal. 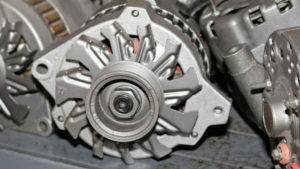 JG Autowerks offers expert transmission repair and diagnosis. We are highly trained in electrical diagnostics. Although not every transmission problem is not an electrical problem, it sure pays to have it checked out as many transmissions use various sensors to control shifting and operations. Let JG Autowerks use one of our many factory scan tools to properly diagnose your transmission problem and possibly repair the vehicle with a flash program update to your vehicle’s control module. If the problem has damaged internal components of the transmission we can advise you the best way to repair, recondition or replace the transmission. As we recondition transmissions at our facility also. JG Autowerks offers several different repair options regarding glass and windows. From windshield replacement to inoperable or broken door glass windows whether the repair needs a piece of glass or just a window inoperative we can repair these items. From window switches to power window electronic problems as well as mechanical regulators to move the window up and down. Some components within the window system can just be repaired without costly regulator replacement. With our understanding of automotive electrical and system operations we can properly diagnose and repair your inoperative power window and rear window defogger operations.